We offer fully customised CCTV solutions for your home, all our systems have mobile access from your home WiFi and can be set up to be used remotely. We always make sure your installation has all areas covered and cables are tidy. Cubtech engineer’s only use our own cable suppliers and individual cameras to maximize the coverage, unlike most DIY CCTV products ours are designed to your property. CUBTECH can help you with a wide range of CCTV applications, in recent years there has been an increase in crime rates all over the UK with both Homes, Commercial and farms being targeted, Rural crime alone cost around £40 Million in 2017. 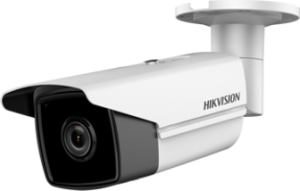 CCTV acts as a great deterrent from thieves and could help reduce the chances of them entering your property. We also offer Networking over long distances so don’t worry if you have a building that does not have wired connectivity we can help with that too. Contact us today for a free on-site visit to discuss your requirements.